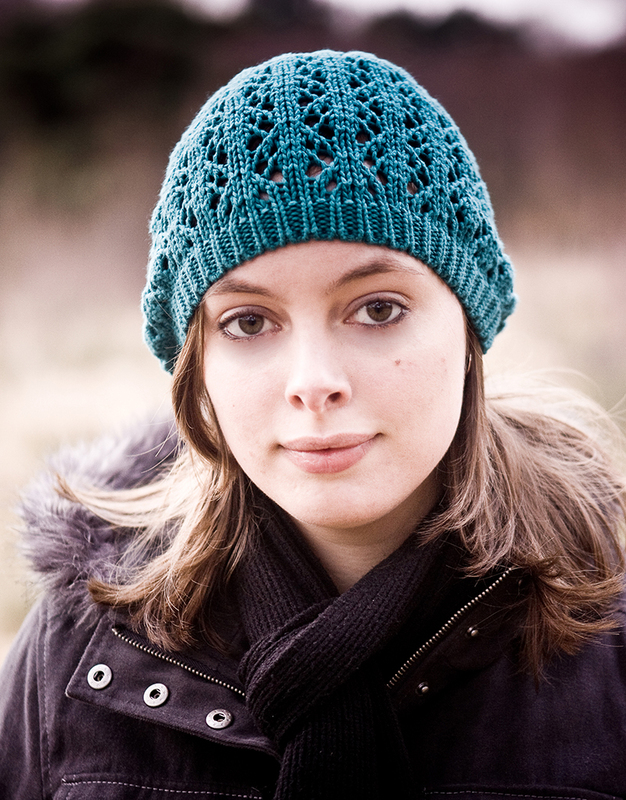 Laura graduated from the University of Surrey with a First Class BMus (Hons) degree in Music. She has written the music for the Hugh Wooldridge/Bill Kenwright UK tour of The Haunting, starring Paul Nicholas, and her first musical Faerytale, was showcased by Guildford School of Acting at the Electric Theatre. Laura has recently finished writing her second musical, The In-Between, and recording a concept album for the show with nine of the West End’s leading stars, which can be heard in full at www.theinbetweenmusical.com. As an arranger and orchestrator, Laura has been Musical Associate for The Night of 1000 Voices, Kerry Ellis and Brian May’s Anthems: The Concert and The Wonderful World of Captain Beaky, with Vanessa Redgrave, Joanna Lumley and Hugh Bonneville; all at the Royal Albert Hall. She was also arranger/orchestrator for the Cantabile Christmas Cracker (Prince of Wales Theatre). Tell me one little-known fact about Laura Tisdall. Tell me about Faerytale – where you got the inspiration and what it is about. Faerytale was the first musical I wrote and I started writing it the day after I first saw Les Misérables in the West End. Not to sound too cheesy, but it really was one of those lightening strike moments; I came out of the show having been so utterly moved that I just wanted to be part of that world and decided I had to write musicals! The only other West End show I’d seen at the time was The Phantom of the Opera, so both productions were big influences on Faerytale. In terms of the story being a fantasy, I’d been a big fan of the genre since I was ten and read the first Harry Potter. It was a revelation to me; the first book that I couldn’t put down, and it led me to read a great deal of other fantasy and science fiction series, as well as watching many similar genre TV shows and films. I love the idea of lots of the old fairytales (I really like Once Upon A Time on TV at the moment), like the stories Disney have frequently adapted, and I wanted to write something along those lines as I thought it could make a great dramatic story for a musical – but I also wanted to keep that darker gothic feel lots of the originals had. So, the story of Faerytale is about a sorcerer who is cursed never to love again after causing the death of the Faery Princess to whom he had been betrothed. It’s about his search to break the curse and ultimately find redemption. How do you break into this business? It’s very difficult. Musicals are really expensive to put on, so producers are often wary of taking a risk on a new writer, particularly with an original story. Part of the trouble is also that it’s very hard to ‘prove’ to someone that your show could be good, without because you can’t show someone even a near finished product without a whole load of other people helping you in the first place; singers, musicicans, etc. So it is tough, although there are now a few organisations that help new musical writers, Perfect Pitch and Mercury Musicals Development being ones that spring to mind. My own route to where I am now started really at university where we did a collaboration between our music department and Guildford School of Acting; myself and three other new writers from the department had pieces from our shows (for me it was Faerytale) performed by students from GSA at a local theatre. GSA have a very good reputation and so a number of industry professionals we invited came along and from that I met a director, Hugh Wooldridge, who has since been very supportive of my career and gave me my first professional jobs arranging and composing. The thing I’d say is that if you want to work in musicals, you really have to love what you’re doing because it’s often very hard work trying to make a go of it and you have to be so determined and self motivated to keep going. Obviously it’s my dream for my shows to be professionally staged and I’ve been working hard for a long time to try and achieve that, but I write musicals because I love writing musicals; I almost feel like I’d have to write them and tell those stories that I have in my head, even if no-one ever listened. So do you write the story, music, libretto, the lot? Yes, although at first I think it was more necessity than choice, in that I needed a story, I knew the kind of genre story I wanted to use but didn’t know anything about getting rights for adapting existing ones. I also didn’t know anyone else who wrote musical lyrics or really any part of musicals. I think though I actually might find it difficult to do it differently now. I’ve been writing stories since I was very small, even before I started writing music, and when I’m writing a show everything comes from the story. What the characters say and do, and the tone of the music and it’s melody – all of it comes from the emotion of that scene, often together as one whole. So when a melody comes into my head, lyrics often come too because what I feel the character would say comes from the same emotional place as the melody. I think I’d find it very difficult to not have the freedom to work this way, so writing to pre-existing lyrics or not being able to change where a story goes would be a challenge. This isn’t to say I wouldn’t like to try collaboration with the right project and people – the end product can often be much better with other people inputting, particularly in musical theatre, and I’m not precious about having to have written it all myself – if someone else comes up with a better way we could do something, then great, the end show will be better! A number of times writing both Faerytale and The In-Between I got writer’s block and felt other viewpoints and ideas would be so valuable. So it’s something I’d be open to, in the right situation, but I guess it would just take some getting used to! Do you have a sample song/video I could link to in the interview that you could discuss with regard to how and why it came to be and its place in the musical? Yes, here’s one of the songs off the concept album for The In-Between The song is called ‘Beyond the Door’ and this recording is performed by Hadley Fraser. In the show, it’s sung by one of the main characters called Calicus. Calicus is a young Guide of the In-Between; the place that lies between parallel worlds. Time doesn’t move in the In-Between and, for as long as Calicus can remember, he has led people who become trapped there, through the In-Between and on to new worlds in which they are destined to belong. He has never questioned the Rules that he follows and never questioned where people are supposed to go. Then he is assigned to guide Flick Wimple; a sarcastic nineteen-year-old misfit who questions everything and, unlike everyone else he has led, certainly does not want to go where he tells her she is meant to be. At first completely out of his depth, Calicus finds himself drawn to Flick and ultimately does all in his power to help her – but after she is gone, unlike all the others, he finds himself unable to forget her and the way she challenged all he had just accepted before. ‘Beyond the Door’ comes as Calicus is reaching a crisis point, unsure how to continue with his life as it once was. The only way to leave the In-Between is through an exit door into one of the worlds, but Guides are not even permitted to look through them. The ‘door’ of the song title refers to the exit door through which Flick left. Strangely, ‘Beyond the Door’ was one of the quickest songs to write for The In-Between and is possibly my favourite from the show. Some songs I’ll spend hours looking over and re-writing multiple times, while others just seem to click straight away – and are, ironically, usually better! It sounds bizarre I guess, but I was thinking about the scene whilst waiting for a train at Richmond station and the opening words and tune just sort of popped into my head. Once I had that idea, a lot of song followed quickly and I wrote the words down in my notepad right away (always essential to have with me! ), but the real challenge was keeping the music going round in my head for the whole journey back, so I didn’t forget it before I got home and was able to record it! When the musical goes into rehearsal for the first time are cast allowed or encouraged to contribut ideas that may change what you have written? To be honest, I’ve not ever been in rehearsals for a full production of a brand new musical so am not entirely sure how it works in practice. It probably depends quite a lot on the time scale you have in which to rehearse (it’s harder to make lots of changes if you’re short on time for learning/perfecting what you’ve got already) and also on the director’s style of working. What I’ve heard, though, is that the show that goes into the rehearsal room is often very different when it comes out! It’s an important part of creating a show. Some things that work well on paper or in your head, might not translate well to live action and the rehearsal room is often the easiest place to find these bits that need changing, because something might feel awkward for an actor to say, or a musical break be to long, etc. Musical theatre is by default a collaboration; even if you write it yourself, that’s only one part of the team that puts it together for stage and everyone has ideas they bring to that. The actors are a massively important part of that team; they are bringing your story to life and so I think my view is that if one comes up with an idea that improves a scene, then that all helps and is part of the process – let’s use it and make the best possible show we can at the end of it! Do others arrange or orchestrate your music? Yes. In the same way that music and lyrics often come together when I’m writing a new song, the orchestration is usually part of what I hear in my head. I can’t really separate it. I think I’d find it difficult to write a new song, that is ultimately intended for a band/orchestra, down as just a piano/vocal arrangement from the outset. So, your new musical , The In-Between is finally hitting Broadway. You’ve got an unlimited budget. Who do you cast and who directs? Oh, this is such a hard question! Okay, dream scenario; Tim Burton would direct it! (Although I don’t know if he’s done any stage shows before!) In terms of casting, Julie Atherton and Dianne Pilkington have been my dream cast for Alice right from when I was writing the show, so it was amazing to have them both play the part on the album. Another person I’ve thought of for that part (if we’re talking Broadway people!) is Sutton Foster. A number of people played Flick and Calicus on the recordings and I asked each of them because I’d seen or heard them perform and thought they were phenomenal and would be able to put across those songs really well, both vocally and in terms of character. It’s difficult because I don’t really want to single anyone out at this stage; they were all fantastic to work with. You also don’t know what new talent might come up in auditions, particularly when casting quite young roles; Flick is 19 and I see Calicus’ playing age as early/mid 20’s (no-one knows how old he actually is!). The thing I’ll say is that all the three leads have to match each other well and whether the show works live will hinge a lot on who plays Flick, so I think it would be important to cast her early on and then cast the others in relation to her. Have you started planning your next musical project yet? Yes, I’ve actually had the idea for it in my head for several years, I think even before I had the idea for The In-Between. After Faerytale, I had these two concepts in my head and had to decided which to go for first. Writing a musical is a massive investment of time (both have taken me 2-3 years to write) so it was a big decision. I really wanted to write both, so in the end it was a practical choice; The In-Between has a smaller cast and band, so would be more likely to be put on by a producer, given I’m a new writer. I’m happy with how it’s turned out though. I think that creatively, as well, that was the right one to do first. For the new show, I originally had the concept and the main characters, and I knew how it would start – but there waere lots of bits that I wasn’t sure how to fill in (and a couple of possible endings to choose from!) and I would have spent ages poring over. The great thing is that over the almost 3 years since I started writing The In-Between, my mind’s also been ticking over the story for the new show in the background and I’ve now got the full story pretty much straight in my head with hardly any agonisation over it! In terms of what it’s about, I don’t really want to give too much away just yet… It’s another fantasy/sci-fi, but a very different kind from Faerytale or The In-Between; more futuristic I suppose! It’s been nice to have a bit of a break from writing to record the album and launch The In-Between, but I’m excited about getting started again in earnest when I’ve got a bit more time. Music is my hobby as well as my job, so I do a lot even when I’m not working, whether that’s just singing or playing piano for the fun of it, or playing (drums or piano) and singing down at my local Church. I also do lots of reading! If I have a day off and a good book I could easily sit reading it all day. I recently read The Hunger Games trilogy for the first time and couldn’t put it down! I also like watching films and TV shows in the evening – current favourites being Homeland, The Big Bang Theory and Once Upon A Time. I love good box sets too and am looking forward to the new seasons of Fringe and Glee in September (I don’t have Sky TV to watch it live!). A lot of this is still fantasy/sci-fi orientated – I guess it’s a good way to relax, that escaping to another world for an hour or so! I also go to dance class regularly(ish) in some vague attempt to keep fit. It’s good fun and no-one laughs at me for being rubbish at it, which is nice! Obviously from your bio and career details you are multi-talented but, apart from dance, what are you rubbish at? Lots of things! Anyone who knows me would probably say punctuality. I’m terrible at being on time and, if I do somehow manage it, it’s generally been an absurdly silly rush! It’s really not intentional. I genuinely try to be on time, but then somehow it always ends up suddenly being 15 minutes after I should have left and I’m not ready. Maybe the clocks are all secretly working against me. Having said the things I do to relax (realised I forgot to put going to shows!!! ), I have to admit I’m actually very bad at it. I find it hard to just switch off. Even when I’m doing something else, I’m often thinking through the various jobs I still have to do. For a writer/producer/director of musicals, what is the ultimate career aim? Where are you when you are top of the heap? Well, my dream is to sit in the stalls of a West End theatre watching a musical I’ve written! I’d just be so excited to be a part of that whole process though, from workshopping to casting to rehearsing, all of it! It would be wonderful to see something I’ve worked so hard on for so long really come to life and get better as other people become part of it. When you write a show, it’s like you have a hunch it would work onstage; you can imagine the scenes playing out and you think they would work, but it’s something, like I said earlier, you can never know for certain by yourself. The moment when you first see something you’ve written performed, and it works, is truly special. I remember this specifically with Faerytale at the first rehearsal for the showcase version we did that was performed by Guildford School of Acting. The first song they went through was a big ensemble number and I remember just sitting there feeling absolutely overwhelmed at hearing these amazing singers bringing that song to life. Would you fancy taking a musical on tour? Do musicals do world tours? I certainly wouldn’t be against it in principle. I guess it would depend what a producer felt was best for the show. They don’t often do world tours, as far as I’m aware, although sometimes you get European or North American tours, which cover a big areas. In the UK, you mostly get internal national tours of musicals, as oppose to tours that have the UK as one of many destination countries. Do you see yourself remaining in the UK or will it be necessary to move to the States at some point to further your career? I’d love to remain in the UK because I’m a very homey (is that a word?) person, and most of my family and friends are here. I wouldn’t mind going away for short periods to the States (really want to see Broadway one day! ), but I think I’ll probably always like my permenant home to be here. You are on death row, convicted of murder (wrongly) and will be hanged int he morning – what’s your last meal? Well here’s hoping that never happens… but probably roast chicken dinner with all the extras like stuffing and Yorkshire pudding, followed by banoffee pie, which is probably the most ingeniously awesome pudding ever invented. And finally: If you were an artist (musician, painter, actor,film director etc.) in a discipline other than you currently operate, and youwere going to be remembered for only one piece of work (a one-hit wonder), whatwould that piece (song, painting, movie) be? One single existing piece of’art’ by someone else. 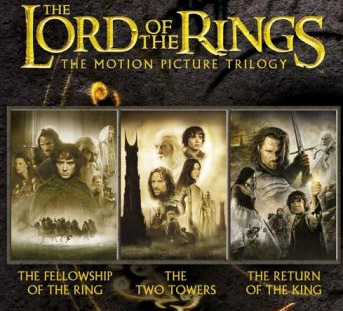 Oh tough question… I’m going to say The Lord of the Rings film trilogy (I know that’s technically 3 movies but they were made as a set so I think it can count!). This entry was posted in Bloggerview, Interviews and tagged Bryan May, Fringe, Glee, Harry Potter, Homeland, Joanna Lumley, Once Upon a Time, Phantom of the Opera, The Big Bang Theory, The Hunger Games, The Wonderful World of Captain Beaky, Vanessa Redgrave. Bookmark the permalink.